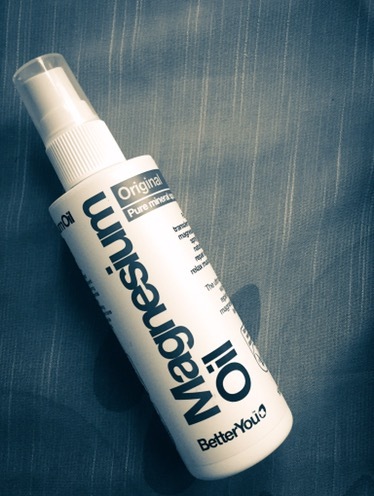 Magnesium oil is a concentrated lotion of magnesium chloride, mainly used for relieving muscle pain and stiffness. It’s not actually an oil, but during application it feels like it is! Today, we’ll be looking at an effective way to hand-make magnesium oil, thus helping to eliminate muscle pain and fatigue overnight! Commercially available magnesium oil is magnesium chloride dissolved in water. It is easy to make this yourself by dissolving the appropriate amount of magnesium chloride salt (aka magnesium flakes) in warm water. Don’t worry if you have trouble sourcing magnesium flakes. Magnesium chloride is the main ingredient of ocean salts such as Dead Sea Salt. If these salts are dissolved in warm water in the appropriate amounts, magnesium oil can easily be made by hand. Also, magnesium chloride is the main component of the Japanese coagulant powder nigari. Nigari water can also be used as magnesium oil, even though the ratio of magnesium chloride is relatively low. Epsom salt is a sulphate rather than a chloride, but research has shown that it is safe to absorb into the skin. Since Epsom salt is effective for treating muscle pain and physical fatigue, magnesium oil prepared by mixing these salts with lukewarm water will work intensively on the affected areas. Handmade magnesium oil for treating muscle pain and aiding recovery after playing sports. Mix in a 1:1 ratio, store in a spray container. Use within 2-3 days after making. If you want to increase or decrease the magnesium content, increase the amount of salt and adjust accordingly. Personally, I think that it’s fine even if the ratio of salt to water is about 7:3. 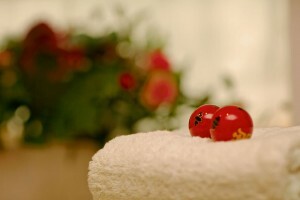 Partially spray onto the area of muscle pain, and make sure it absorbs into the skin well. If you are concerned about stickiness on the skin after application, it is recommended to take a shallow bath in which magnesium oil is applied to the stiff areas such as shoulders, neck, the upper part of the back and the arms. The steam effect of this type of bath increases the permeability effects of magnesium, so helping with the elimination of muscle fatigue and stiffness. You do not have to worry about getting sticky skin, as the bathing water washes it off. When there is a shortage of magnesium in the skin, there may be an initial sense of tingling. This is not harmful in any way, however, and will disappear quickly.